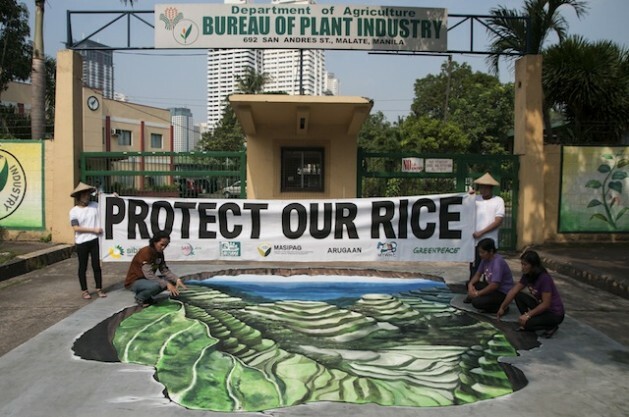 MANILA, Nov 26 2014 (IPS) - Jon Sarmiento, a farmer in the Cavite province in southern Manila, plants a variety of fruits and vegetables, but his main crop, rice, is under threat. He claims that approval by the Philippine government of the genetically modified ‘golden rice’ that is fortified with beta-carotene, which the body converts into vitamin A, could ruin his livelihood. Jon Sarmiento has so many opinions that need a reality check. For example, why would Golden Rice “contaminate” other plants? And if it did “contaminate” other crops, what would happen? I don’t see any reason why biodiversity is threatened here. As far as I know, the beta-carotene biosynthetic pathway is already common in most domesticated and wild plants. I can’t see where the problem is.